ROXBURY, NJ – Gotcha Recovery and Transport, an auto repossession business that’s operated in Port Morris for 18 months, was told Monday it’s gotta leave. The company’s request for a zoning variance, which would have allowed it to stay at the 210 Center Street site it leases, was rejected 5-2 by the Roxbury Zoning Board. The ruling left Gotcha owner Thomas Brennan visibly shaken and his wife, Lisa, sobbing in the municipal building foyer as their lawyer mulled options. The Brennans, who live in Byram and lease the Port Morris site from John Snono, said they spent about $170,000 on the failed effort including legal costs, engineering fees and site work. Their lawyer, Ronald Heymann, said a state Superior Court appeal of the board’s ruling is possible. He said a 1978 zoning board resolution approved the site for storage of construction equipment as well as vehicle repairs. He argued that Brennan would be only temporarily storing vehicles and would substantially improve the aesthetics of the property..
Brennan planned to add fences, trees, shrubs, pavement and eventually build a large addition to its existing 1930s-era brick structure. Although it is now in a residential zone, the property has always been used for commercial purposes, including auto repair, topsoil screening and construction equipment storage. “We are asking for expansion of that non-conforming use,” Heymann told the board, noting that Gotcha’s business has “much less impact” that most of the site’s prior uses. 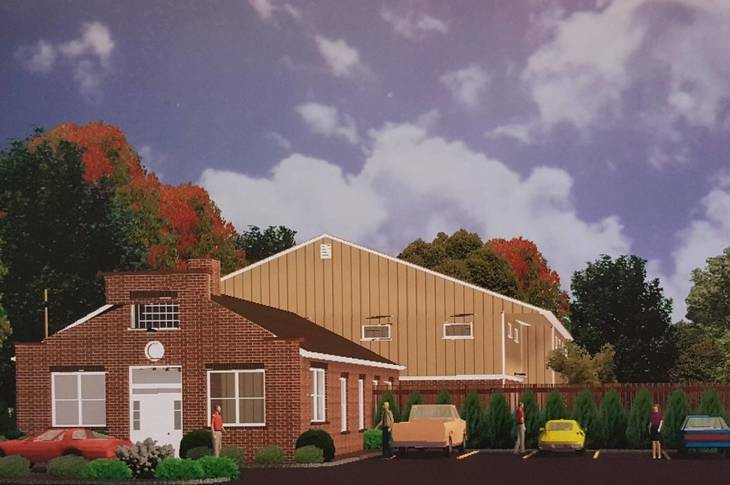 However, Roxbury Township Planner Russell Stern contended Brennan’s repo lot is “a totally different use” than any prior business on the property. He convinced the board that a D (1) use variance, rather than a D (2) expansion variance was needed. The board decided Stern was right. It then voted to deny the D (1) variance. Board members who rejected the variance said one of the deciding factors was Brennan’s desire to accept seized cars anytime day or night. In rejecting Brennan’s variance, the board also said the goal of Roxbury’s master plan is to, when possible, eventually bring into compliance sites being used for purposes not allowed in a zone. It said granting the variance would take things in the opposite direction. Board members Christine Houtz and Sebastian D’Amato were against the board’s decision to reject the variance. Houtz, who could not vote because she is an alternate on the board, referred to aerial photos of the site, taken over the decades, that showed the extent of commercial use on the land. Several residents who live near Brennan’s operation testified in his favor. However, Russell and Maha Schmidt, of 223 Center St., strongly opposed the variance. Not only do they dislike the tow trucks coming and going but they also said they fear irate people arriving in the neighborhood to recover their repossessed vehicles. “There are people who do get upset when they come to pick up their cars,” said Maha Schmidt. She said she’s lived in Port Morris for 23 years and contended a repo business is “not right” for the quiet hamlet. Zoning Board Chairman Brian Overman said he was concerned about an expansion, by Brennan, of a non-conforming use. He also cited reports about police being dispatched to Gotcha, apparently to quell disputes about repossessed vehicles.